When we said that Pinterest was one of the best fashion start-ups so far, perhaps we didn't stress just how deliciously addicting it can be for a bunch of stylephiles like ourselves. Now we've officially joined in on the pinning fun... and so can you! Starting today, you can keep up with Refinery29 on Pinterest. Follow along as our growing pin board of inspiration documents the street style, nail art, DIY goodness, and our own slammin' Reserve Deals (to name a few) we're constantly discovering and sharing. While we once equated "getting pinned" with high school romance circa the '50s, make no doubt about it, Pinterest has completely changed our thinking — although you better believe the love is still intact. 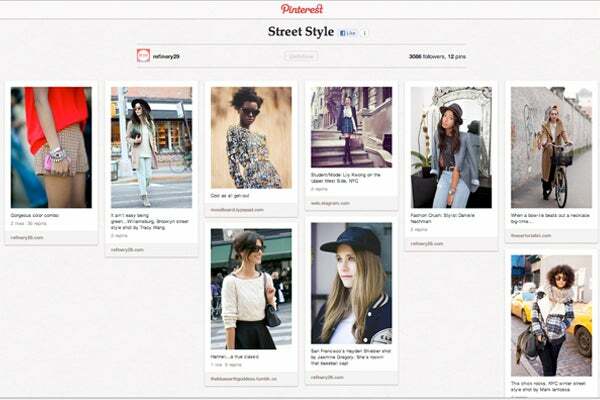 Join in on all the pinning fun now on the Refinery29 Pinterest page!